The best Rapporteur company on Foreign exchange of Export Results. 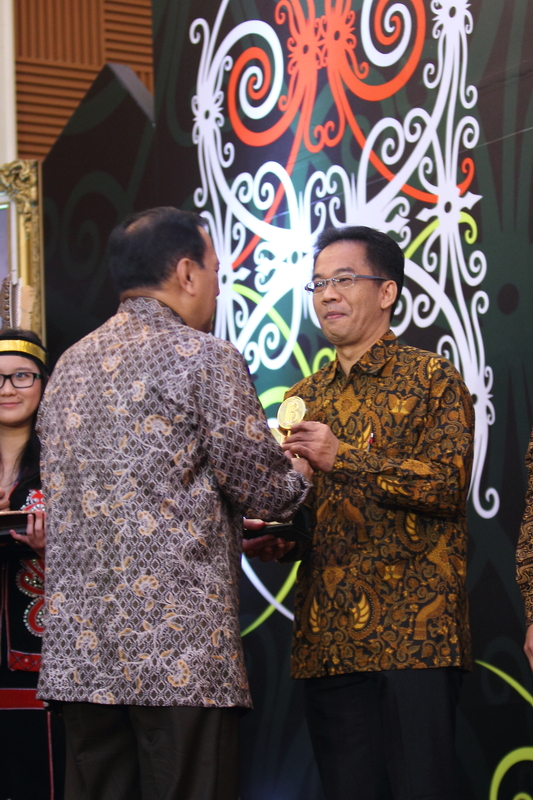 The award ceremonial was presented by the Governor of Bank Indonesia, Agus DW Martowardojo, to Yandri Pardomuan Siregar as Head of Finance Division TMMIN, witnessed by the Coordinating Minister for Economic Affairs of the Republic of Indonesia, Darmin Nasution, Minister of Finance of the Republic of Indonesia, Bambang Brodjonegoro, officials of the Ministry and state agencies, financial institutions, associations and companies. The awarding event has been held more than 10 years as an appreciation of Bank Indonesia to the reporting bank / enterprise, as well as a forum for exchange on information between policy makers and businesses, as well as between fellow entrepreneurs to mutually explore the potential synergy and partnership working.